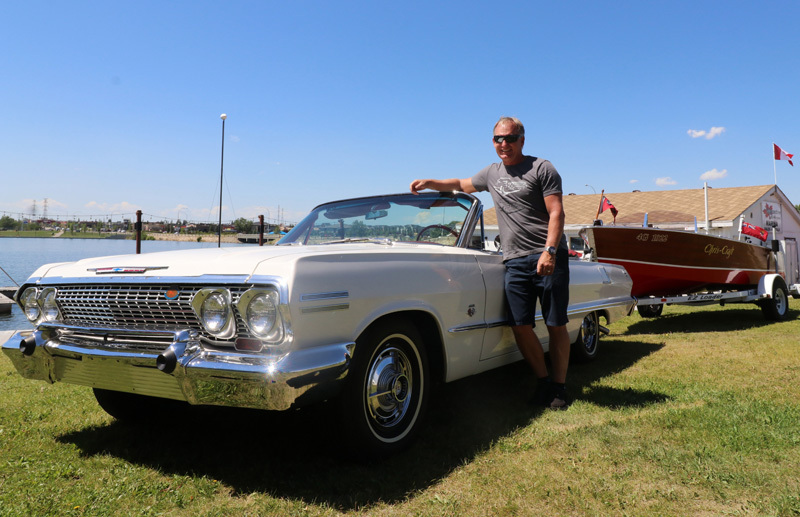 The Chestermere Lake Show and Shine is back to bring families together for a day of admiring old time auto-motives, boats, and campers of every shape and size. “There are a lot of car enthusiasts here,” said Organizer of Chestermere Lake Show and Shine John Kittler. “We’re a town that likes to play around the lake and play in our garages,” Kittler added. When Kittler first began organizing the Chestermere Lake Show and Shine in 2016 he wanted to bring all members of a family to the event, even if they weren’t car lovers. Last year’s Chestermere Lake Show and Shine had a variety of food trucks, local business vendors selling car accessories, posters, and T-shirts, while the Chestermere fire department came to the event to perform a demonstration of how the team gets into cars that have been involved in collisions. When Kittler was offered the opportunity to organize the Chestermere Lake Show and Shine he got involved with the Lakeside Kruzers, a local car club, which offered the horse power Kittler required to achieve the success the event deserved. “The show got handed to me, but [The Lakeside Kruzers] are the horse power pushing it,” Kittler added, the local car club helped find the volunteers who run the event. Kittler said he got exactly what he wanted last year from the Chestermere Lake Show and Shine. “I wanted to see an event where no tax payer dollars were spent,” Kittler said. “Nobody’s asking for a bunch of money, or tax payer dollars is not being spend frivolously, it’s just our community coming together to do that for no other reason than being community,” Kittler said. Proceeds are raised from various outlets, including donation fees that vendors, food trucks, and car showers have to pay, and a raffle draw in which local businesses donate products. All proceeds raised go towards Southern Alberta charities including Easter Seals Camp Horizon and the Chestermere Food Bank. “Not a dime of [the proceeds] went to anyone making a profit. My business [The Dockside Bar and Grill] is attached to the event, but didn’t take anything out of it,” Kittler said. He added, he chose the Easter Seals Camp Horizon charity and the Chestermere Food Bank because both organizations are local to Alberta, and independent. “If you’re not as blessed as the rest of us, and have kids who are special needs your resources can be pretty limited, but Camp Horizons lets kids in wheel chairs just be kids. “People don’t think we need a food bank in Chestermere, but we have a need for a food bank in the community and it’s important to see it supported,” Kittler said. Last year’s Chestermere Lake Show and Shine generated $12, 312 in which all of the proceeds went back to the selected charity, Kittler said. 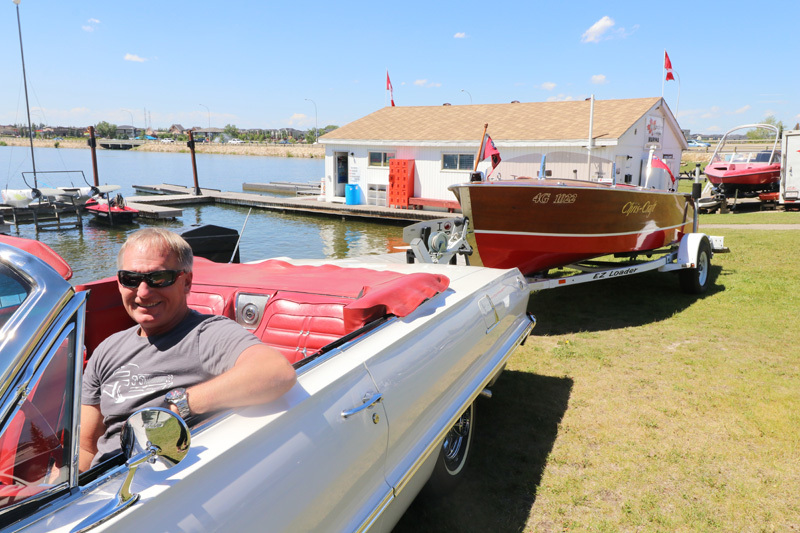 Kittler couldn’t have organized the Chestermere Lake Show and Shine without the community’s support, he said, because the residents stepped up, it was easy to put together the event. Kittler said one resident in particular, Ray Kassam, went above and beyond expectations with gaining sponsorships, and prizes for the raffle draw. “He’s the key guy for the show,” Kittler added. Although the Chestermere Lake Show and Shine has been well received throughout the last two years, Kittler is still working towards getting the event to become a family fun event. “I want to do this until my retirement. “The goal is to solidify [the Chestermere Lake Show and Shine] as a known community event whether you’re a car enthusiast or not it’s an event that’s on your calendar. “It’s comradery. I can’t go five minutes without having someone want to talk to me, whether its little kids coming over to see [the car] or a grandad whose got a story about when he had one. It brings back memories. It’s nostalgia. Kittler added the Lakeside Kruzers hold a miniature show and shine every third Tuesday of every month in the Safeway parking lot, which is beginning to gain the attention from other car lovers in Southern Alberta. The Chestermere Lake Show and Shine will be held Aug. 25 from 10 a.m., to 4 p.m., at the Chestermere Recreation Centre. For additional information visit the Chestermere Show and Shine 2018 Facebook page.